All living cells, from simple yeasts to human brain cells, regulate their rate of growth and their ultimate size and shape. How they do this, however, is one of the fundamental mysteries of biology. 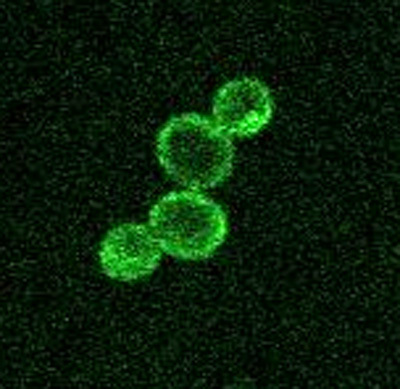 A new study, published December 28 in Current Biology, reveals a complex network of signals and feedback loops that control both cell growth and size in yeast. At the heart of the network is a protein complex called TORC2, which is disrupted in many cancer cells. "One of the most universal defects in cancer is aberrant cell size and shape. It's what the pathologist looks for, and the worse those defects are, the worse the prognosis," explained Douglas Kellogg, professor of molecular, cell, and developmental biology at UC Santa Cruz and corresponding author of the study. Yeast is a relatively simple organism, yet it works in the same fundamental ways as human cells. The same signaling network that controls cell growth in yeast is thought to operate in more complex organisms too, including humans. “Fundamental discoveries in yeast are directly applicable to humans," Kellogg said. "If we can understand how growth control works in normal cells, and how it goes wrong in cancer cells, we could potentially exploit that knowledge to kill cancer cells." The new study looked at how cell growth and size are limited by the availability of nutrients. In previous work, Kellogg's team had identified a protein required for nutrient modulation of cell size. Further investigation showed that this occurs through the protein's effects on the TORC2 signaling network. Led by co-first authors Rafael Lucena and Maria Alcaide-Gavilán, both postdoctoral researchers in Kellogg's lab, the team used a variety of techniques to work out the details of how molecular signals are relayed through this network, enabling the cell to respond to changing nutrient levels. A key role in this process is played by ceramides, which are building blocks for structural molecules in the cell membrane. The study found that ceramide-dependent signals control both cell size and growth rate. "The same signals control growth rate and cell size, which explains why cell size is proportional to the growth rate set by the availability of nutrients," Kellogg said. Additional work is needed to clarify some details of the signaling network and explore its effects throughout the cell. Kellogg is also eager to apply the new findings to studies of human cells. He noted that in advanced biology textbooks, the section on cell growth is typically just one page long, and cell size is covered in a short paragraph. "We want to write a whole new chapter on cell growth and size for the textbooks," Kellogg said. In addition to Kellogg, Lucena, and Alcaide-Gavilán, three UC Santa Cruz undergraduates contributed to this research and are coauthors of the paper: Katherine Schubert (now a UCSC graduate student), Maybo He, and Matthew Domnauer. Other coauthors include Catherine Marquer at Columbia University Medical Center, and Christian Klose and Michal Surma at Lipotype GmbH in Dresden, Germany. This work was supported by the National Institutes of Health.